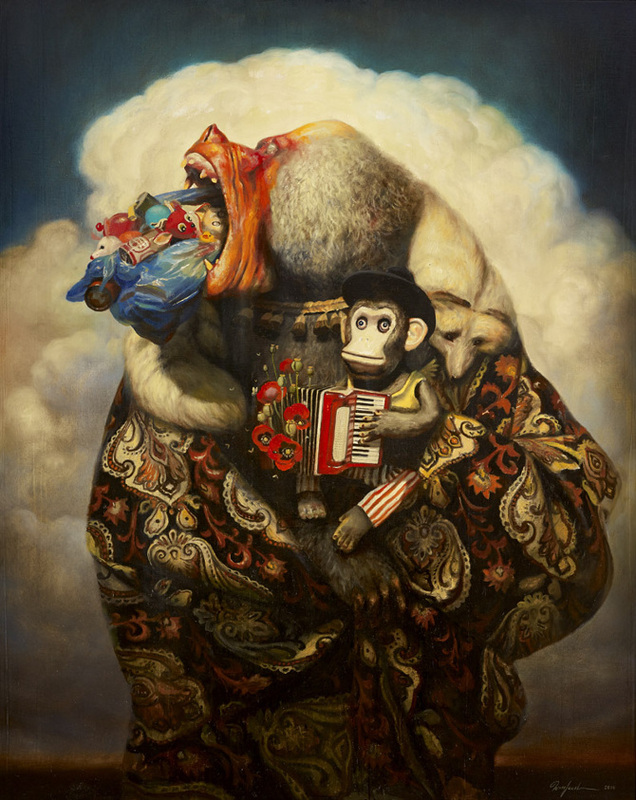 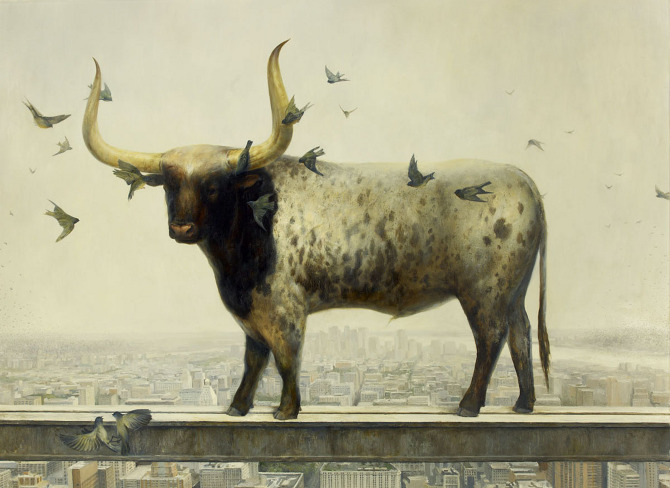 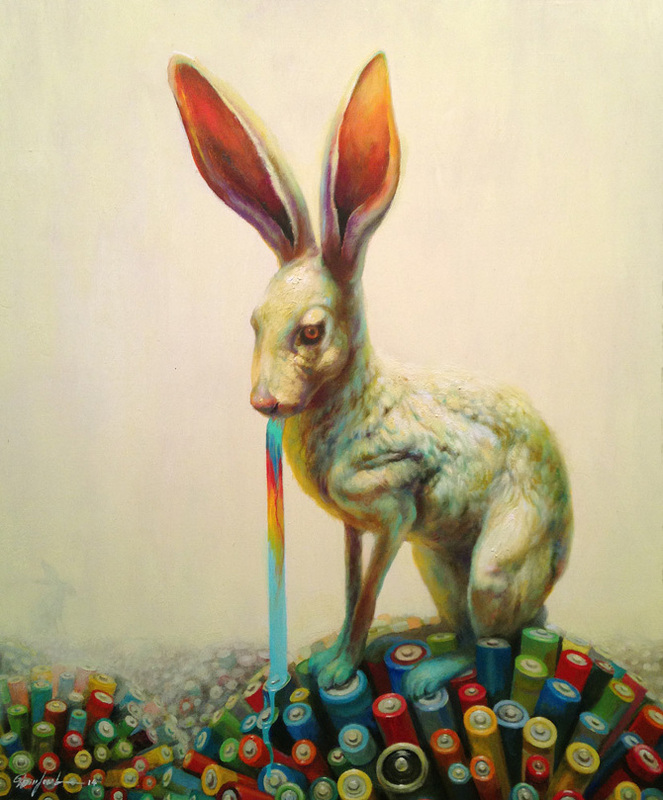 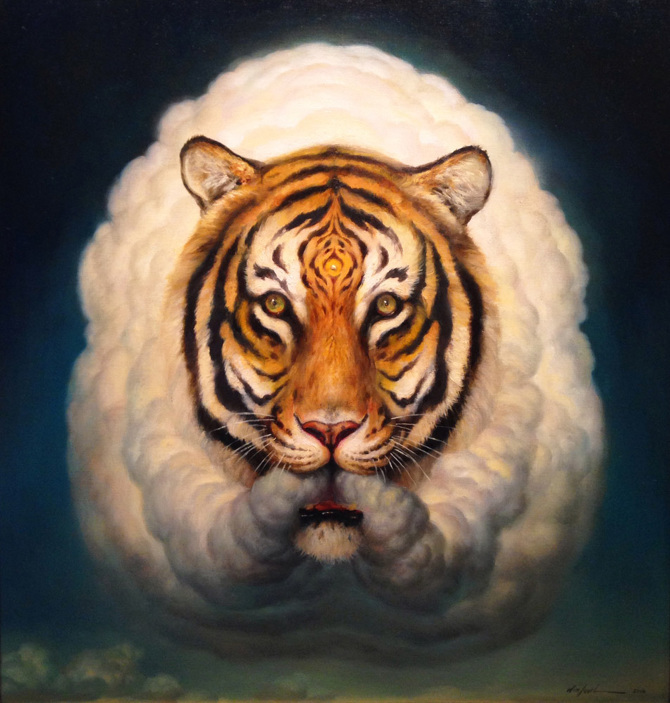 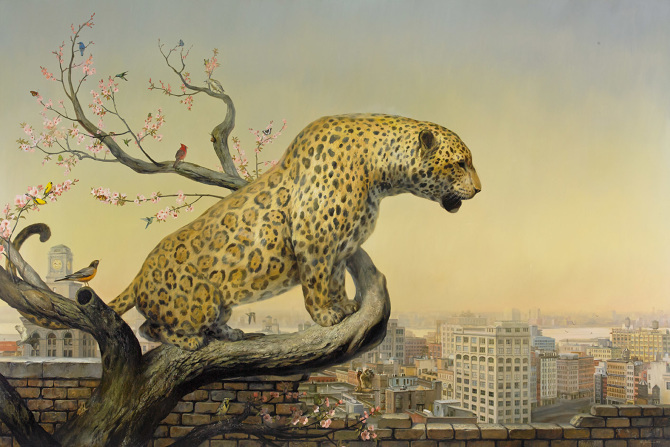 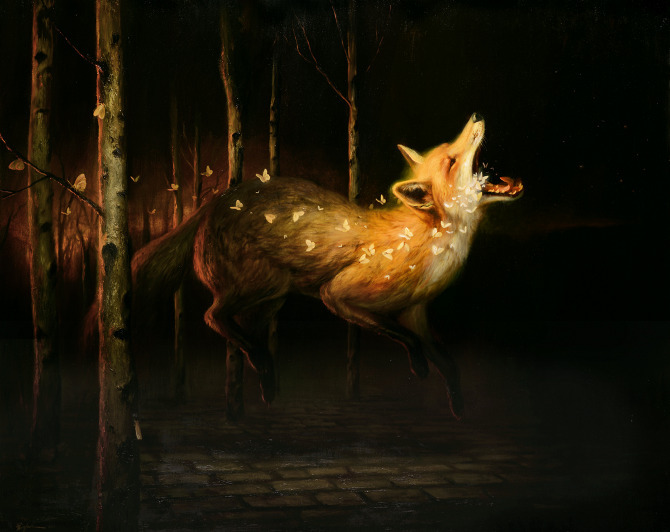 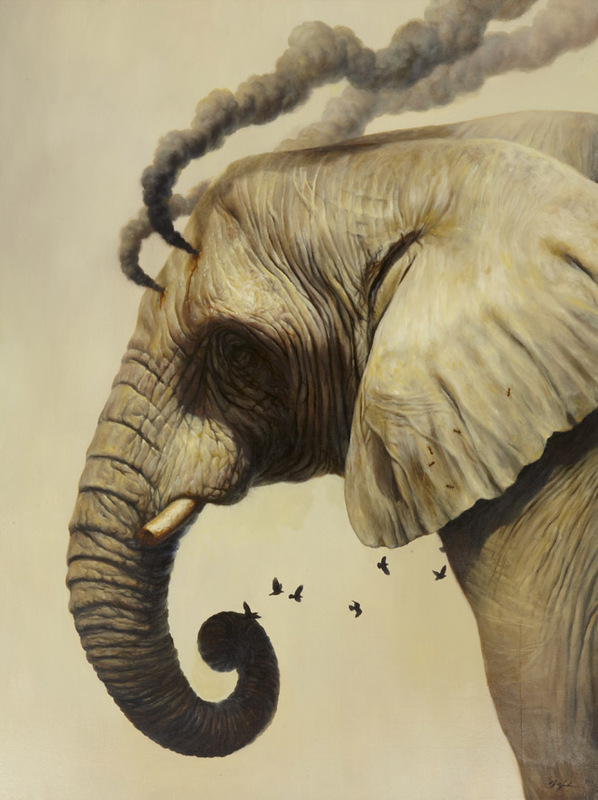 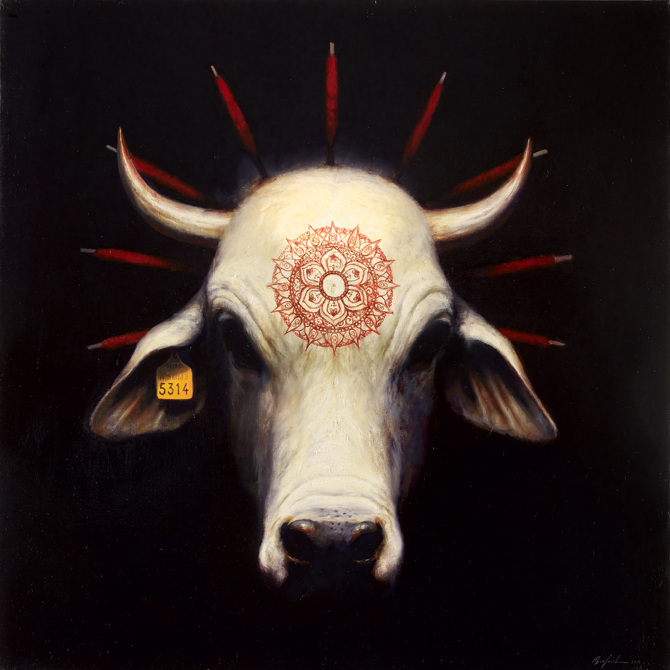 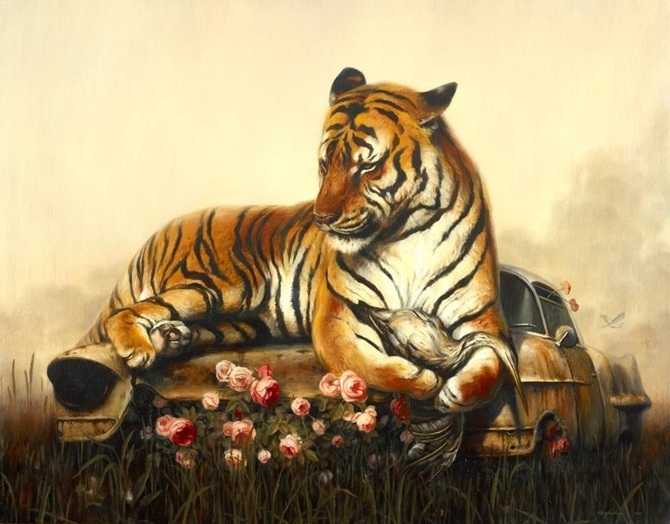 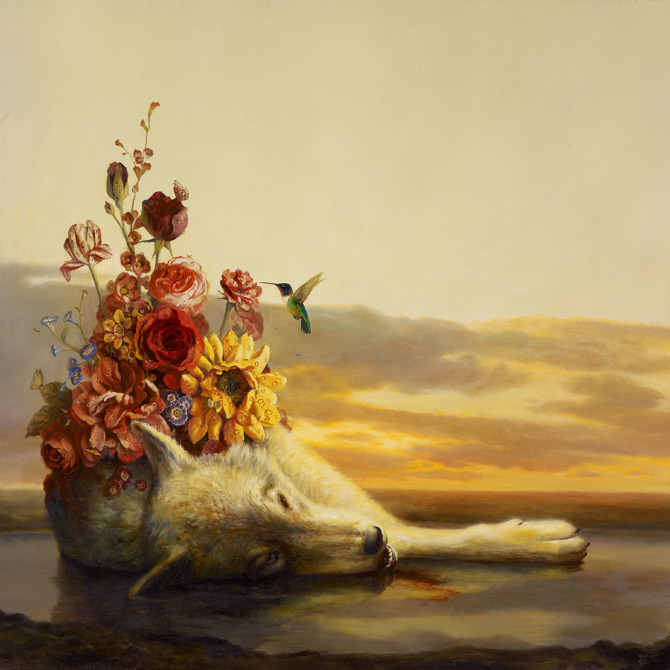 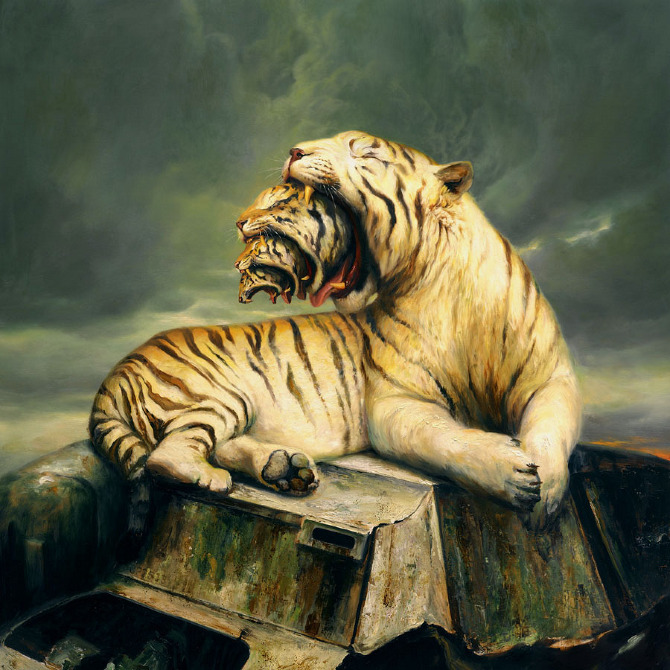 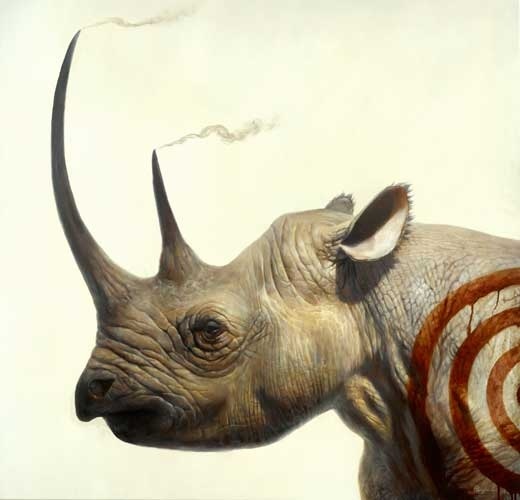 Martin Wittfooth was born in Toronto in 1981, and spent most of his childhood in Finland, moving back to Toronto in 1993 where he earned his BAA in Illustration from Sheridan College in 2003. 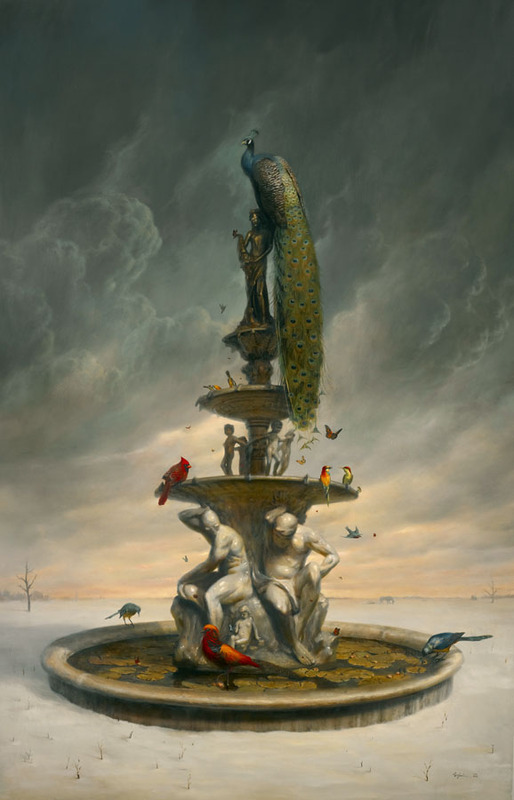 He currently lives and works as an illustrator and fine artist in New York City, where he earned his MFA at the School of Visual Arts. 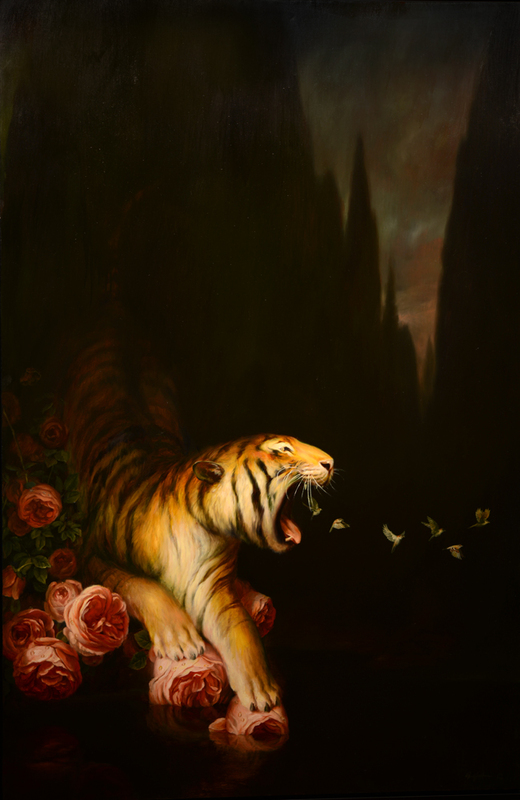 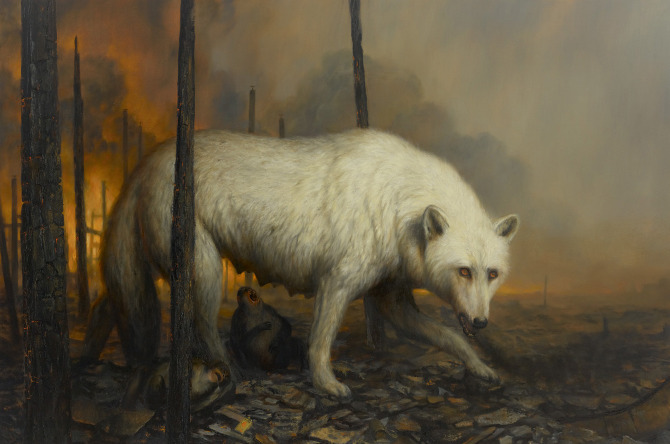 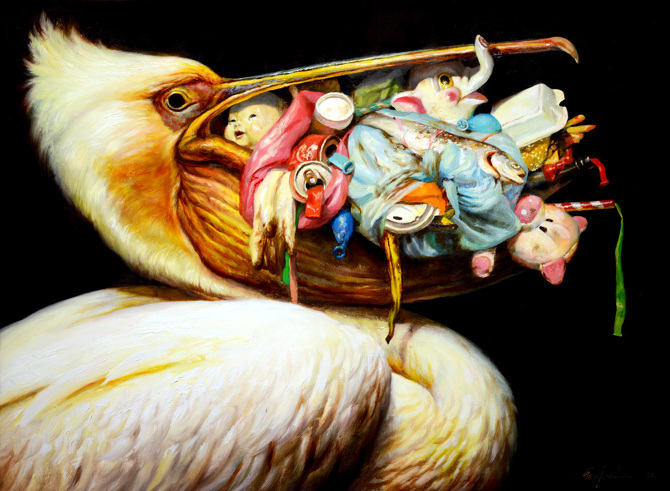 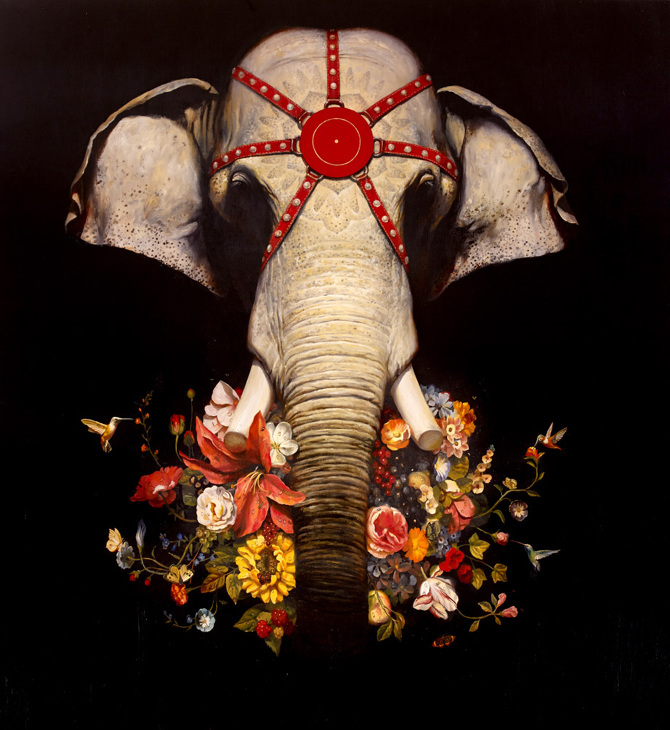 Wittfooth’s oil paintings explore disquieting themes of industry and nature, unhinged evolution, the clash of old ideologies with modern fears, and the growing shadow of the human footprint on the earth. 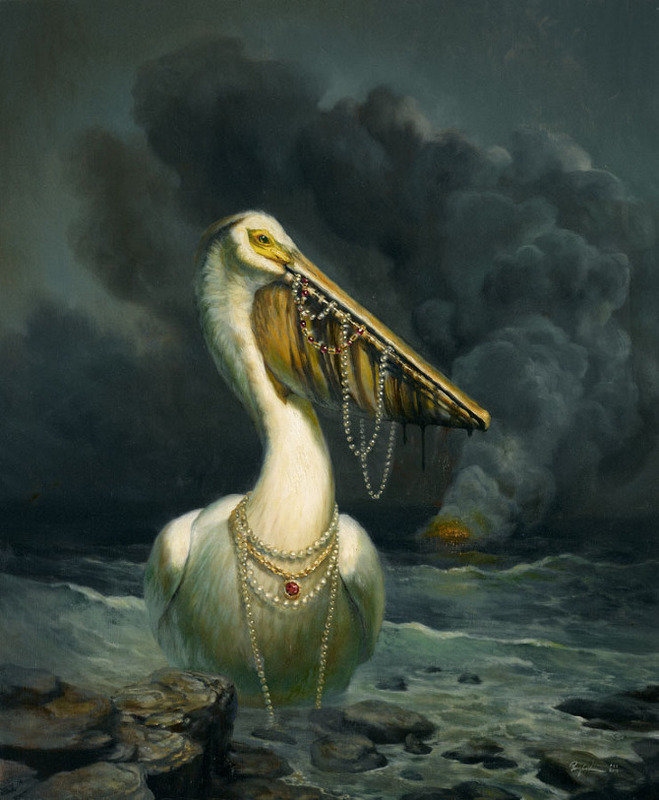 Set in atmospheric landscapes rendered over many paint layers on canvas, linen, or wood panels, these themes are realized through a combination of symbolism, the juxtaposition of visual narratives, and the displacement of expected realities. 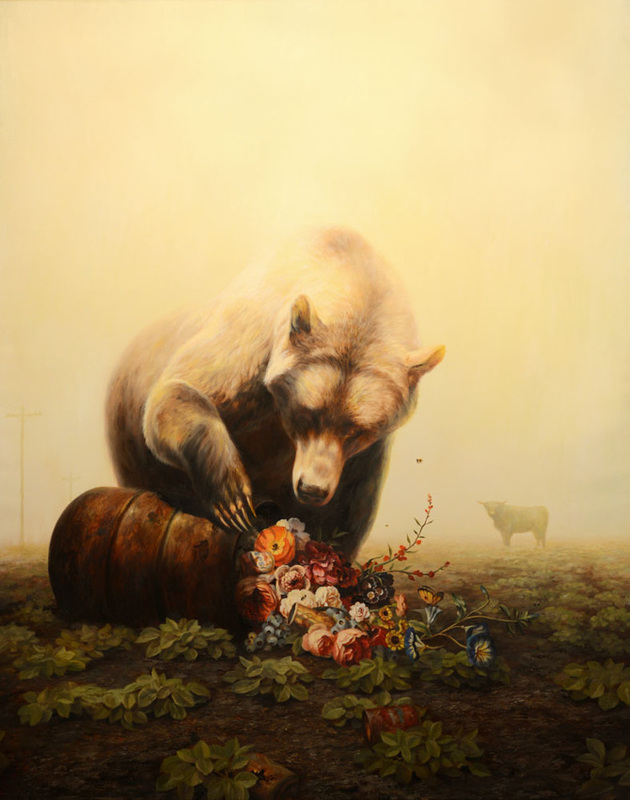 The worlds created in Wittfooth’s paintings implore the viewer to question the status quo, to challenge that which is taken for granted, and to proceed with caution on our present course.